Melissa Lewis turns traditional thinking about public speaking and communication skills upside down to give people more comfort, confidence and charisma in front of groups. She has over 25 years' experience as a trainer, speaker and consultant and has coached hundreds of speakers throughout the US and abroad. Melissa is also a former actress who sprinkles her programs with engaging stories, vivid visual metaphors and lighthearted-yet-realistic scenarios. She travels nationally as a highly-rated conference speaker, and is often chosen for the after-lunch time slot because of the invigorating laughter and creative audience participation in her programs. In addition to her presentation skills programs, Melissa brings a taste of Broadway to conferences across the country with her highly customized "Mini-Theatre" keynotes and training sessions where your participants are the stars. These one-of-a-kind sessions combine the best of both worlds--the collective wisdom from within your organization and helpful tools and perspectives from Melissa's experience. 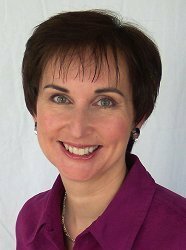 She has a BA in Speech Communication, an MS in Organization Development, and is trained as a facilitator of SPEAKING CIRCLES©, a revolutionary new approach for building speaking confidence and charisma based on the book Be Heard Now by Lee Glickstein. Out of lifelong interest in life purpose, meaning and balance, Melissa has also completed a master's degree in Transpersonal Studies. Through many years as a listener/trainer with a crisis hotline, a hospice volunteer and a hospital chaplain, Melissa has gained a deep appreciation for the human experience, which adds depth to her material and makes it applicable not just in the workplace, but at home and elsewhere. Melissa is also an avid quilter, fabric artist and doll maker. A Washington DC native, she now lives in Weaverville, NC with her husband Ray.